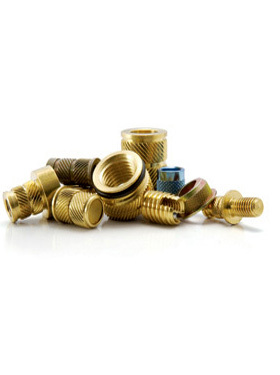 Dodge® threaded inserts for plastics are brass screw machine products designed to provide strong metal threads in plastic components. 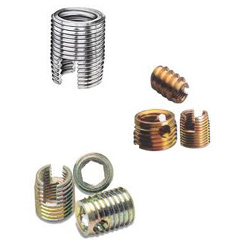 These inserts are produced in standard and thin wall configurations with either a single slot or multiple holes providing the thread cutting features. 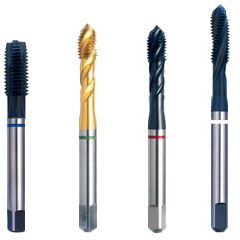 They are available with various knurl and undercut patterns to suit almost any threaded assembly application in plastic. 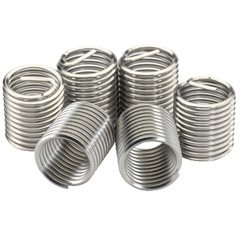 Dodge® inserts can be installed in a variety of ways including ultrasonic welding, hot or cold press-in, mold-in and self threading. 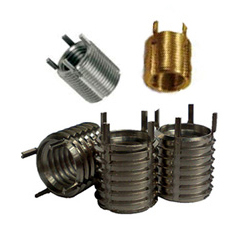 Typical Applications would include Communication, Electronic & Aerospace, and Defense industries.